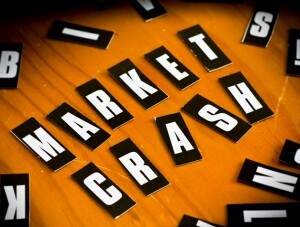 Monday’s market carnage was the best thing to happen to investors all year. At long last, quality tech stocks went on sale — however briefly — and maybe even bottomed out, making names like Apple (AAPL), Facebook (FB) and Netflix (NFLX) the most appealing they’ve been in months. Goodness knows investors needed this sale. It’s been a disappointing year in general for stocks, as the U.S. equity benchmark S&P 500 was up only about 2% for the year-to-date before China’s Black Monday tore through global markets. If investors have any hope of outperforming during such circumstances, they need to overweight some of the biggest names in the market — and the cheaper they can get in, the better. Since the Nasdaq sold off harder than the other major indices over the past few days, tech stocks are standing out as buys on the dip. After all, to get better prices on great tech stocks, you have to strike on days when the market is panicking. Besides, whether the selloff continues for a few sessions or turns into a bear market, odds are greatly in your favor that the best tech stocks will be much higher in, say, three years than they are today. That goes double for some of the biggest, most-promising and most popular tech stocks. From the most valuable company on the planet to the biggest social network to a momentum darling, Monday’s action proved that AAPL, FB and NFLX are stocks to buy when the going gets tough. Apple (AAPL) stock was in a funk well before the crash. As recently as July 20, AAPL stock was sitting on a gain of 20% for the year-to-date. Then the usual worries starting pecking away at the Apple stock price. But guess what? Apple plunged Monday, leading the Dow Jones Industrial Average down 1,000 points at the open … but it reversed hard and even turned positive for part of the day. Looks like we found where the value buyers will step in. Hey, how could they resist? AAPL is now trading at 11 times forward earnings. That’s a bargain-basement valuation. The S&P 500 goes for closer to 17 times earnings. Needless to say, AAPL stock has much stronger growth prospects than the broader market. To get a sense of how crazy this valuation is, consider this: Apple stock is cheaper — much, much cheaper — than 3M (MMM), Deere (DE) or United Technologies (UTX), all of which are mature, slow-growth companies with tremendous exposure to China and the strong dollar. Are Apple’s prospects really that much worse than a bunch of poky industrials? Facebook (FB) stock is another big tech darling that’s been marked down to prices you just can’t ignore. Like Apple, the selling started before the bearishness on Friday and Monday. FB stock peaked out back on July 21 when it was up 26% for the year-to-date. Now it’s clinging onto a gain of about 9% and the relative valuation is insane. Facebook stock changes hands at 30 times forward earnings, which sounds pricey until you see that it also has a long-term growth rate of about 30%. Unless something is seriously wrong with a stock, the market always pays a premium to the long-term growth rate. Put FB’s valuation in context, and you can see how much it’s on sale: The market trades at about 17 times forward earnings with a projected long-term growth rate of 7%, while poky industrials like 3M trade at 16 times earnings on 9% long-term growth, Deere moves at 16 times earnings and 5% growth and United Technologies is at 13 times its earnings and 8% growth over the long haul. Netflix (NFLX) is a tough sell on valuation. It never trades at anything that looks reasonable, partly because NFLX is a momentum stock, where accelerating revenue growth and trading technical analysis provide much of the upside. But that doesn’t mean it’s not on sale. Steep selloffs are what Netflix stock does on its way to new stratospheric highs. Just look at how the buyers stepped in on Monday’s plunge. NFLX was up as much as 160% YTD at the beginning of the month before it began one of its regular retracements. At one point Monday, it was off as much as 18%. And yet by early afternoon, Netflix stock was positive. Not only do we have a sense of the floor on NFLX, but we also know there’s plenty more ceiling. Heck, even after a miraculous recovery on Monday, Netflix stock is still roughly 15% below it’s most recent peak. Article printed from InvestorPlace Media, https://investorplace.com/2015/08/tech-stocks-to-buy-aapl-fb-nflx/.